In DIY On February 18, 2019 No comments. 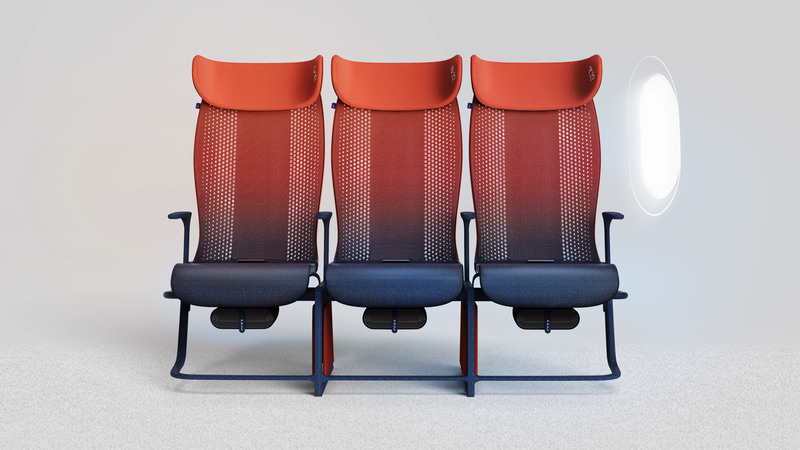 Layer has developed a smart textile for use in Airbus’ economy class seating, which would allow passengers to monitor and control their seat conditions using their phone. 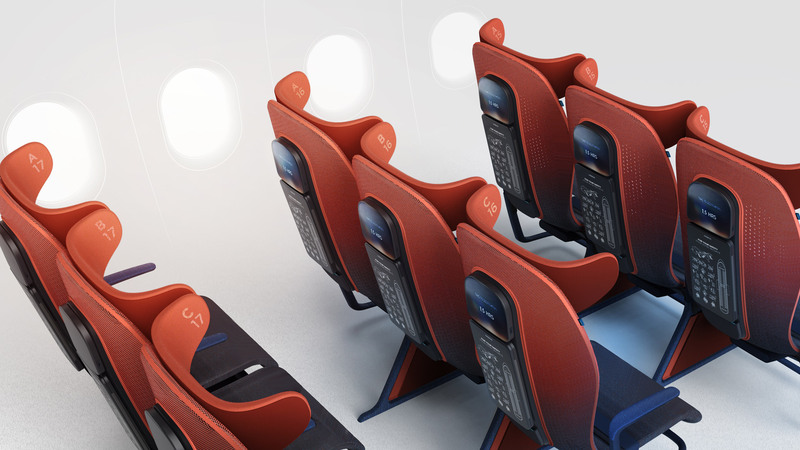 The seating concept, called Move, is designed to improve the experience of economy class on short to mid-haul flights. Currently in the prototype stage, each chair is made up of a knitted, one-piece sling seat secured over a lightweight perforated composite frame. Digitally knitted from a polyester wool blend with an integrated conductive yarn, the smart seat cover is connected to a series of sensors that detect both the passenger’s body and the conditions of their chair. This includes temperature, seat tension, pressure and movement – conditions that can be monitored and controlled by passengers via their phone, using Layer’s Move app. The Move app analyses the data collected by the sensors, and sends targeted messages to the passenger telling them how they can improve their comfort. These include prompting them to get up and move around the cabin to improve circulation, to do in-seat stretches or to stay hydrated. Users can further customise their seat conditions via the app by selecting different modes such as “massage”, “meal time” or “sleep”. 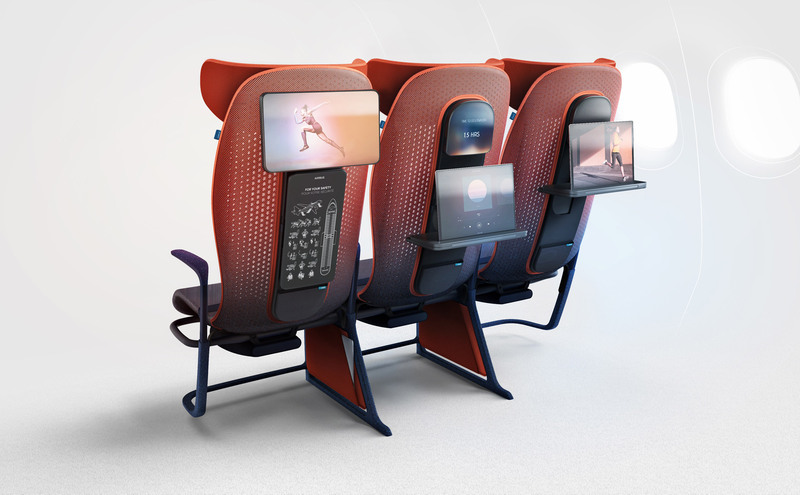 “We were excited to take on this project with Airbus to find ways to improve and add value to the economy class experience – for both the passenger and the airline,” he continued. The smart cover also has zones of differing density knit to offer different levels of support to the body. 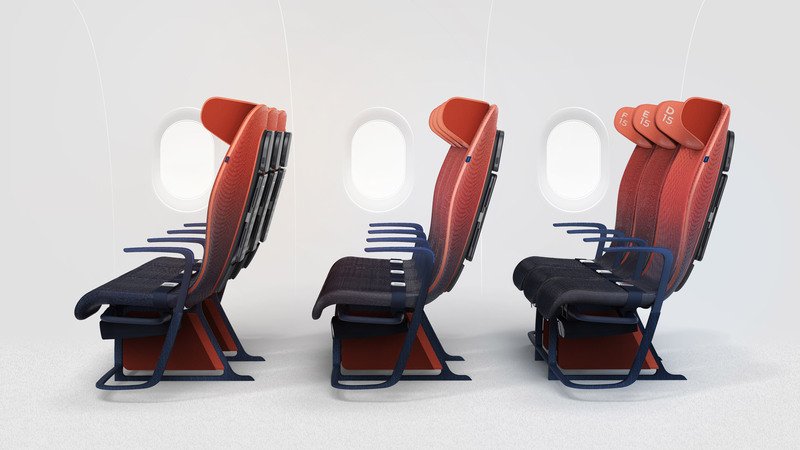 During the flight, the seat automatically adjusts itself based on the passenger’s weight, size and movement by passing a current through the conductive yarn to change the seat tension. Layer also addresses the issue of “legroom rage” caused by passengers unnecessarily reclining on shorter flights by fixing the position of the seat back. Instead of reclining, passengers can keep comfy by adjusting the settings of their smart seat. In addition to enhancing the flying experience, Layer wanted to improve the sustainability of the aircraft. 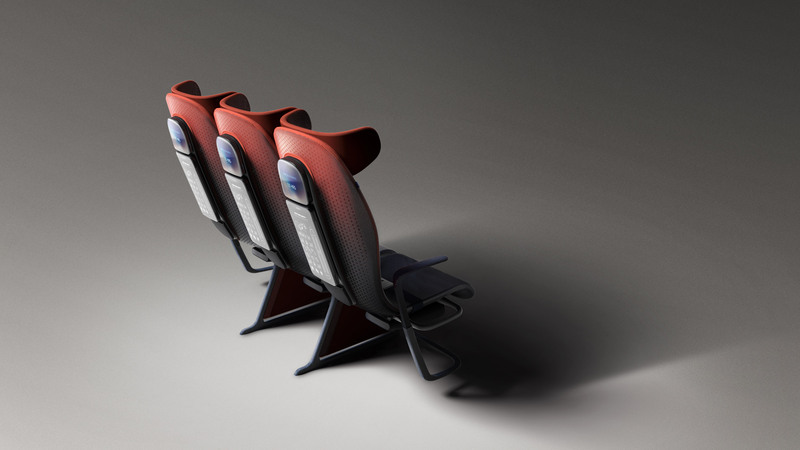 Both the knitted seat and its lightweight frame – made from aluminium and carbon fibre – significantly reduce the on-board weight, bypassing the need for unsustainable foam material typically used in aircraft seating, and improving fuel efficiency. 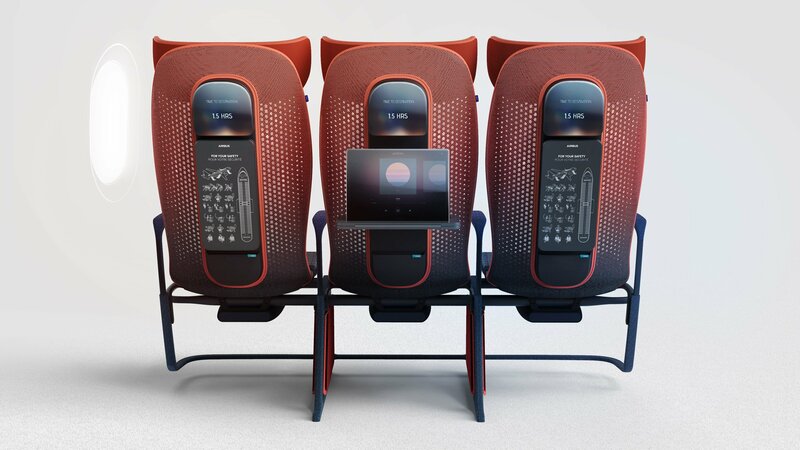 On the back of each seat is a “central island” containing the tray table, an optional Inflight Entertainment System (IFE) and a small pocket for storage. There is also laptop storage in between the seats, giving users a secure place to store their devices during take-off and landing. The tray table is stowed vertically and is height-adjustable. It can rotate out to provide a half-size table or can fold out to its full size, giving passengers additional knee room as desired. 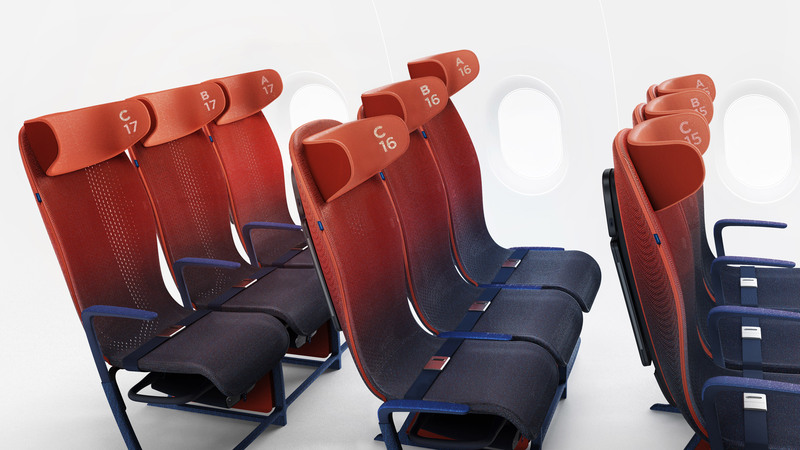 As the armrests are completely stow-able, passengers have the option of creating a bench-like seating format when travelling as couples or in groups. Thanks to the pressure-sensitive yarn, the seat can detect if passengers have left a device or object in the pocket and will notify them after landing. Move is not the only project by Layer that is tailored to the user’s needs. The design studio recently teamed up with London-based eyewear brand Kite to launch a service that takes 3D scans of customers’ faces, then uses them to produce perfectly fitting frames. Images shown with the consent of Airbus. 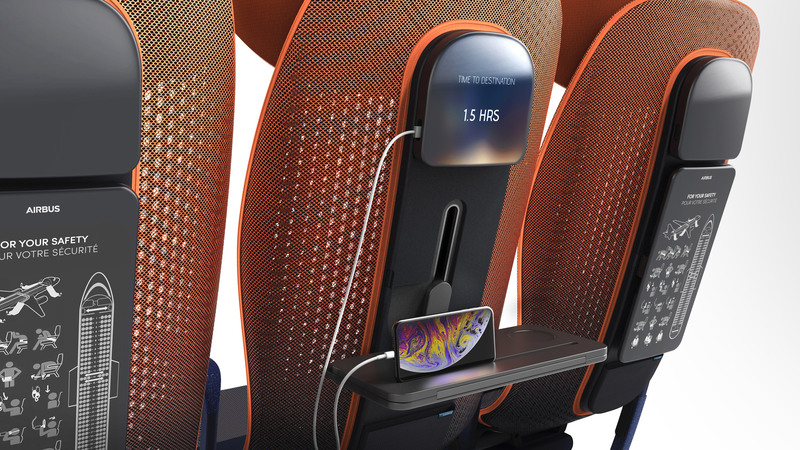 The post Layer’s smart Move seating for Airbus adapts to the passengers needs appeared first on Dezeen.